Nestled on its own stretch of private golden beach and conveniently located close to Side, the Hotel Sultan Of Side offers guests luxurious surroundings in extensive grounds.The hotel is packed full of activities and facilities to keep guests entertained as well as tranquil spaces and a Spa for those seeking rest and relaxation. Families are well catered for with a swimming pool exclusively for the use of children and the younger visitors are also able to enjoy their own playground area. The large main swimming pool is surrounded by a well-furnished terrace that offers residents a retreat from the heat of the day where they can relax under the shade of large parasols and sip on refreshing drinks from the bar. **Please note:** Construction works will be taking place in/around the hotel from 15.10.2013 â€“ 15.5.2014. 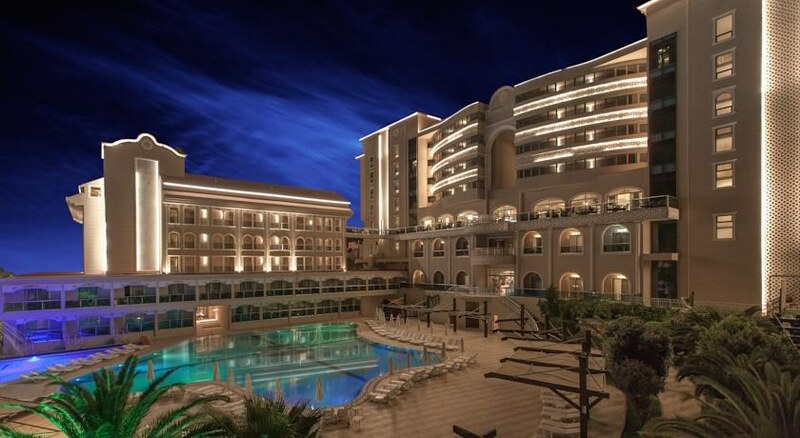 The Sultans of Side Hotel is located 550 m from the beach, 8 km from Side center, 61 km from Antalya city, 8.5 km from Side Ancient theater and 14 km from the Manavgat waterfall. 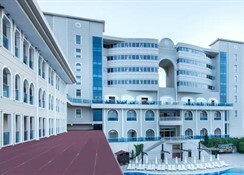 Hotel is situated over 20,000 m2.The hotel facilities include a 24 hour reception, wireless internet, elevator, restaurant, bar, swimming pool, children's pool, spa (extra charge), fitness center and car parking. 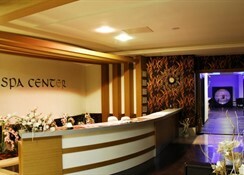 The room facilities include air conditioning, TV, telephone, bathroom, safety box (extra charge), minibar and hairdryer. ** Please note that some of the above facilities may be closed due to weather / seasonal conditions. ** Address: Mevki Evrenseki Mah, 07600, Side, Turkey. General Description:Welcome to Sultan Of Side in Colakli. The closest city to the hotel is Manavgat (12 km). Other cities: Antalya (65 km). To make your stay more comfortable a hairdresser, a mini market, a conference room, a reception, air conditioning, a lobby and shops are available. A playground for children is available. The staff in this hotel speaks French, English, Russian and German. For guests who wish to be mobile, car rental can be arranged. A fresh water swimming pool, seasonally open is available. A poolside bar is on site at the hotel where guests can unwind with a drink. Sunshades and sunbeds are available free of charge at the pool. Accessible from the hotel: airport AYT (56 km). For your entertainment the hotel features a cinema. Amenities:For convenience the following services are offered: medical care and maid service. Internet access is provided at wifi-hotspots. This family friendly hotel offers a child club and a children's pool to ensure a comfortable stay for parents as well as young guests. Reception hours: 24h Service. 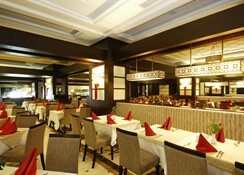 Meals:The breakfast type is Buffet and it is provided from 07:00 - 10:00. Evening drinks can be enjoyed at the lobby bar. Sport and Leisure:A variety of activities are provided by the hotel such as badminton, archery, boccia, darts and table tennis. Guests who wish to be active on holiday can enjoy activities such as aerobics, beach volleyball, exercise in the fitness room and tennis. Wellness and health facilities are offered where guests can relax during massages, in a steam room, in a sauna, at a spa and in a hamam. Additional Information:The following payments are accepted: Visa Card and Euro/Master Card. Additional fees may apply for certain facilities, amenities or activities. This is the perfect choice for discerning couples and families seeking a luxurious resort with a wide variety of activities and facilities as well as an on-site Spa. The hotel has a large outdoor swimming pool with separate childrenâ€™s pool. Both have fully-furnished terraces. 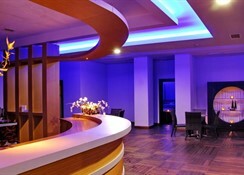 The hotelâ€™s 298 guest rooms are all tastefully furnished offering spacious accommodation. Facilities include an en-suite bathroom, air conditioning, mini bar, TV, safe, balcony or terrace and a hair dryer. Guests of the hotel are able to enjoy an all-inclusive package where they will find a wide variety of local and international dishes served in the main buffet restaurant. 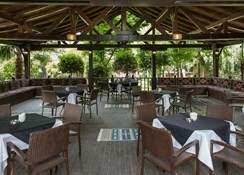 The pool bar and garden bar provide lighter snacks and drinks throughout the day. The hotel boasts its own private beach for guests to enjoy. It is approximately 8Km from Manavgat and is within easy walking distance of a wide variety of shops, bars and restaurants.